There is some big news from Amazon Smile! Through today only (March 16), the company is offering a whopping 5 percent back to the charity of your choice on eligible purchases through Amazon Smile. That’s 10 times the normal .05 percent! 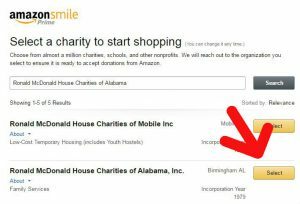 Ronald McDonald House Charities of Alabama is one of the charities that raises funds through Amazon Smile. So if you were planning on purchasing anything on Amazon today, please consider us! RMHCA also has a Wish List you can shop! 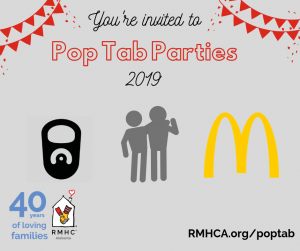 Click here to see it or just search RMHCA Wish List. To shop at Amazon Smile and get the donation back, you must go to smile.amazon.com. If you already have an existing Amazon account, you can sign in using the same credentials. Your shopping cart, wish list, registry, and other account settings are also the same. If you do not have an existing Amazon account, you can create a new account through Amazon Smile. On your first visit to Amazon Smile, you need to select RMHCA (search Ronald McDonald House Charities of Alabama) to receive donations from eligible purchases before you begin shopping. A mazon Smile will remember your selection, and then every eligible purchase you make will result in a donation.